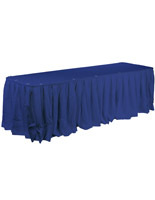 These Table Skirts with Pleating are Ideal for Formal Occasions! Check out Tablecloths and Throws that Include Several Helpful Components, as Well! 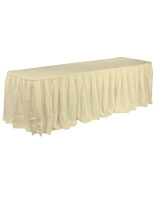 Order Table Skirts in Bulk to Save on Rental Costs! Box pleats add a subtle yet stylish element to any display. 13-1/2-foot-long table skirts cover three sides of a 6 or an 8-foot table. Hook and loop clad siding attaches to clips with ease. 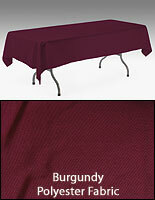 Table skirts are an economical solution for dressing up folding tables within reception or banquet halls. 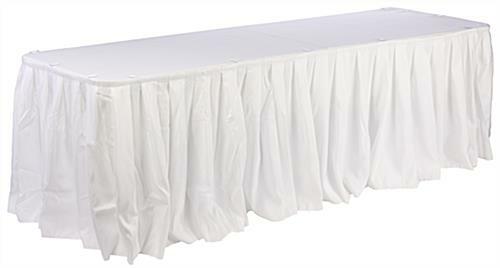 The linens are made from white, polyester fabric, with makes them the perfect backdrop for any setting or presentation. These table skirts, also known as pleated draperies, measure 13-1/2 feet long to fit both round and rectangular tables. The covers are long enough to wrap entirely around a 48" diameter table or cover just three sides of either a 6 or an 8-foot rectangular display. 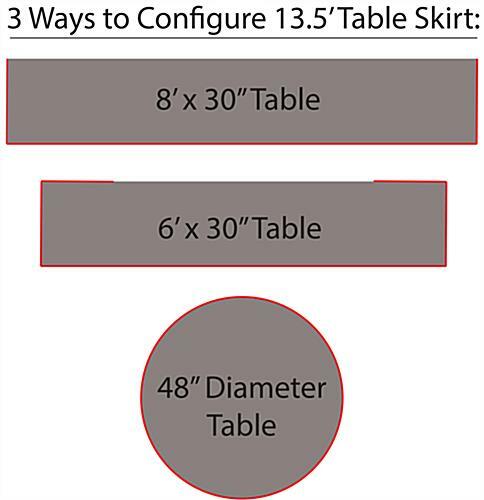 The table skirts are sold without tablecloths or clips, which gives users the ability to utilize decorate different sizes and shapes of tables. 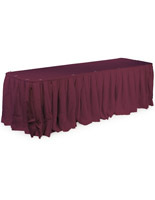 Use throws to create a more unified banquet hall presentation. These table skirts are equipped with hook and loop siding to easily attach to plastic clips (sold separately.) 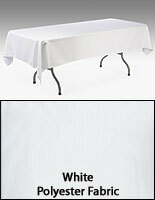 The table skirts have box pleats, which add a fullness and dramatic appeal to any tabletop display. By covering only three sides of a rectangular table, the covers also allow users to hide supplies from view. Table skirts are often set up within reception halls or dining areas, as the box pleat styling looks elegant and helps create a refined arrangement.  Cloth linens, like these, are more affordable than renting because they can be used over and over again!